Mindika Moments: About as close to Hawaii as I'm gonna get this year! About as close to Hawaii as I'm gonna get this year! How is it that everyone I know has been, is, or will be going to Hawaii this year? My own parents informed me last weekend that they are going in October! Unfortunately these burgers are about as close to Hawaii as I'm gonna this year. My vacation disappointments aside, I'm pretty excited about these burgers! ...and thus this recipe was born! We loved it! Even Reese gobbled up half a hamburger. Arnold thought I should call them Monterey Jack Hawaiian Stacks, but I decided on Hawaiian Barbeque Burgers...Which name do you like better?? 2. Form the meat into 6 hamburger patties. 3. Combine all the ingredients for the barbeque sauce. Allow the sauce to sit for at least 30 minutes to ensure the sugar dissolves and the flavors come together. 4. 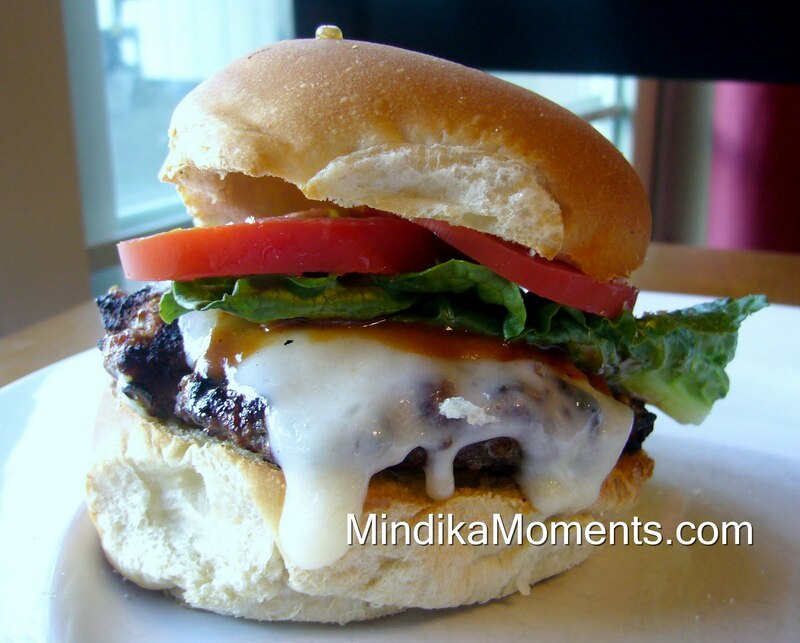 Grill the patties, melting a slice of Monterey Jack cheese on top during the last few minutes of grilling. 5. Toast your hamburger bun of choice. arnold wins nameing rights on this one! yum! Sounds fab - but I just may add some grilled pineapple when I try it out. where did you buy those hamburger buns? they look awesome. I buy my buns at the Macey's Bakery. I really like how fresh they are. I'm sure most grocery store bakery's would have comparable buns.